The technology platform of the Schaeffler Mover is designed for flexibility so that various body styles for diverse uses can be implemented. According to United Nations forecasts, two thirds of the world population will be living in cities by 2050. 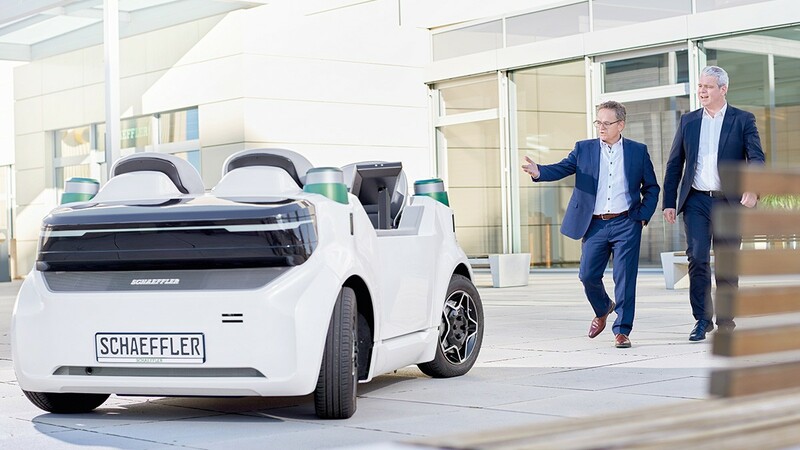 To offer people living in places where space is at a premium personal mobility, Schaeffler is working on technology concepts such as the Schaeffler Mover for which the technology group has developed new system solutions. Autonomous vehicles require neither a steering wheel nor pedals for acceleration and braking. They are replaced by digital controls such as joysticks, notebooks or smartphone apps. Control is no longer performed by mechanical means but within nano seconds through electrical impulses transmitted via cables and wires, which is why the technology is referred to as “drive-by-wire.” The “Space Drive” technology installed in the Schaeffler Mover has previously proven its viability in vehicles for people with disabilities on more than 700 million accident-free kilometers. “Space Drive,” now being further developed by Schaeffler Paravan Technologie GmbH & Co. KG, is certified according to the highest quality and safety requirements (ISO 26262 – ASIL D) and has TÜV and road approval. In addition, it has been designed for triple redundancy: If one control unit fails there are two safeguards ensuring absolute failure safety. There is no comparable system anywhere in the world. In combination with GPS, Radar and other sensors, “Space Drive” provides the basis even at this time for autonomous – fully automated and driverless – Level 4 and 5 driving. Autonomous vehicles such as the Schaeffler Mover require novel drive concepts. One of them is the “Schaeffer Intelligent Corner Module” in which all propulsion and chassis components are installed in a compact, space-saving assembly unit: the wheel hub motor, suspension including springs and electromechanical steering. The latter is an electromechanical “steer-by-wire” system controlled via the “Space drive” technology. The Intelligent Corner Module offers wheel cut of up to 90 degrees. As a result, the vehicle can be maneuvered in narrow streets and even allows for parallel parking for passenger ingress and egress. Even on-the-spot turning is possible. Schaeffler will be demonstrating all functions of the “Intelligent Corner Module” at CES 2019. 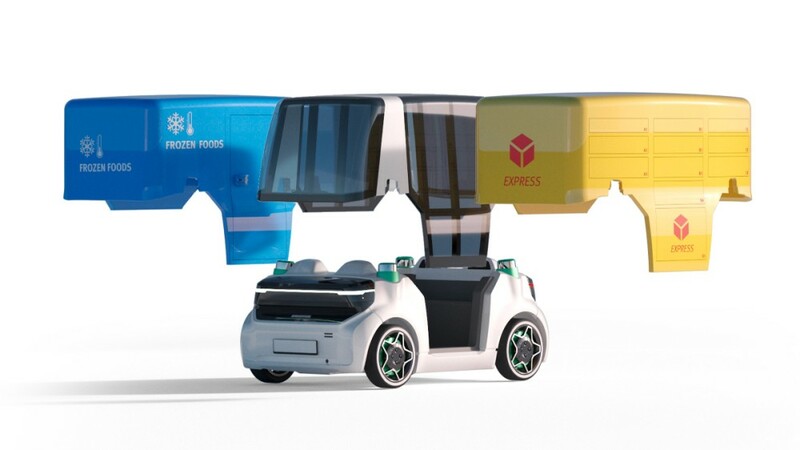 The technology platform of the Schaeffler Mover is designed for great flexibility, allowing for various body styles from robo-taxis through to autonomous delivery vehicles to be implemented. The body – which can be converted for the desired application – can be quickly separated from the platform in which the technology required for driving is consolidated. Only some of the sensors required for autonomous driving are additionally integrated in the bodywork. For autonomous urban vehicles, connectivity is a crucial prerequisite for trouble-free operation. In the concept vehicle, Schaeffer’s experts achieve this by using a digital twin of the vehicle that mirrors the real-world vehicle in a cloud. By continuously analyzing the operating and condition data, for instance, future maintenance needs can be detected in advance. “The vehicle that is rigorously designed for connected operation fills an important gap in the current portfolio of the automotive industry,” says Schaeffler’s Chief Technology Officer Prof. Peter Gutzmer. Visit us at CES, Central Plaza, Booth 25. You will be able to watch the press conference live on January 6th, 2019, at 1:00 pm (GMT-8).